Here at Inchvannie House Dental Practice, we have noticed an increasing trend for teeth whitening from Brides-to-be. What better excuse for a brighter whiter smile than your wedding day! We have the perfect, affordable option that can also be used well past the big day. The teeth whitening system we use is a bespoke molded tray that will fit your own teeth perfectly. A syringe solution is then used either nightly or weekly until the desired result is achieved. Once you have the moulds you can just pop back to the surgery to top up on more whitening solution throughout the year. 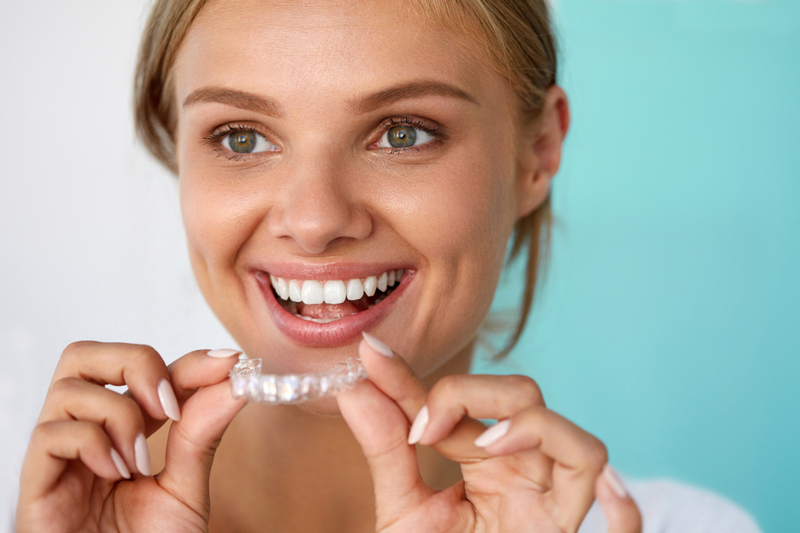 3 Months before your wedding is the ideal time to get the impressions for your custom fit bleaching trays. This procedure is pain-free and will last no more that 20 minutes. Your dentist will then give you a follow-up appointment usually for a few days later to collect your trays. Once you are given your bespoke trays you will be given the whitening solution with instructions on how to apply and how long to leave it on. After you have completed your treatment a few weeks before your wedding is the ideal time for a small top up. The full price of the treatment including all consultations and appointments is £300. We are open 8-8pm Monday to Thursday and 8-6pm Friday and there free parking. For more details about teeth whitening see here.